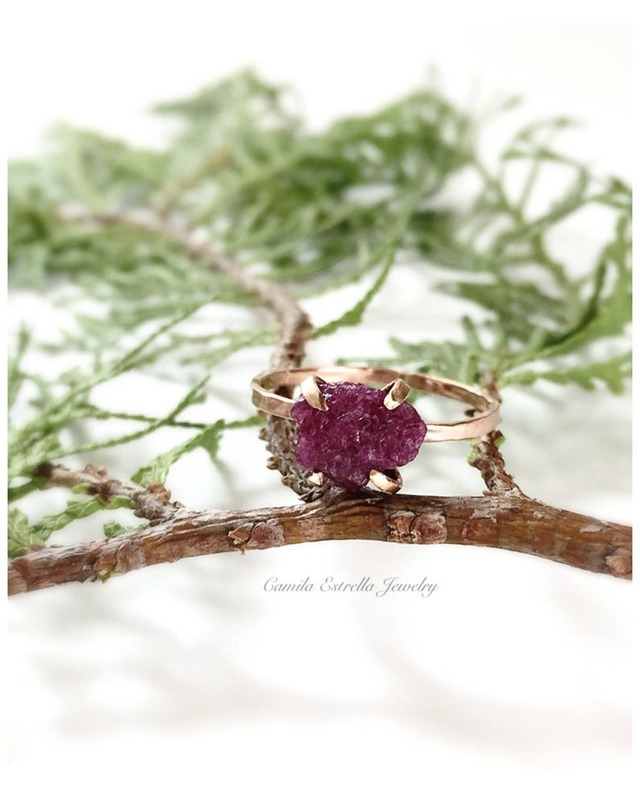 This amazing rough colorful Ruby ring in 14K Solid Gold is all hand-crafted by Camila Estrella. This Beautiful Ruby stone in a great gold hammered band created a unique style. A perfect ring for any occasion! is a high energy stone which is a type of sapphire. It is used to amplify energy and increase chi or prana. In this way it is considered a boost to Earth healing. It is also a stone that may bring a sense of adventurer to the wearer. It is considered to be a leadership stone as well.